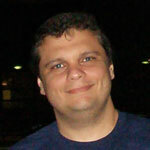 André Vianna is a Software Engineer in Rio de Janeiro, Brasil. He is PMP, MCP and have worked as Development Project Manager, Senior Software Developer and Consultant for more than 15 years. He worked with several major companies in Brasil, EUA, Canada and Mexico. He has been working with the cut edge .NET platform since 2001 and is a C# specialist.